Lock in a great price for Hotel Kogerstaete Texel – rated 8.6 by recent guests! Our second stay in two years. Again, great location, room, breakfast and many more. We had an amazing weekend staying at Kogerstaete. Good breakfast (but certainly didn't make up for the shabby 185 eur/night unwelcoming room under the roof with no proper window or balcony)...that you cannot change because they charge you in full even before you set a foot un the property! We had a 4 person suite, which was very spacious and comfortable. The place was spotless clean. Breakfast is very good. The lady serving breakfast is very nice and makes sure nothing runs out. The location and service is great. And homemade bread is offered everyday which is also good. The breakfast was very good indeed and they were very accommodating to our requests. The facilities in the room were very good also, we had everything we needed. Welcoming atmosphere, excellent room, comfortable beds and delicious breakfast. Perfectly located near beach, restaurants, shops and public transportation. We booked room with extra sauna and jacuzzi in our own bathroom. Came also with tanning shower. Room had our private terrace with plants. You can rent bicycles and e-bijes right from the hotel. It is very handy on Texel. 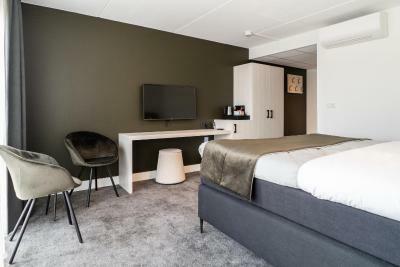 Hotel Kogerstaete Texel This rating is a reflection of how the property compares to the industry standard when it comes to price, facilities and services available. It's based on a self-evaluation by the property. Use this rating to help choose your stay! 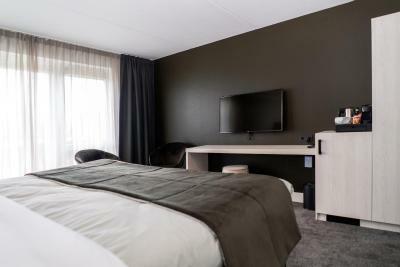 One of our top picks in De Koog.This family hotel, which has free WiFi, is located a few minutes' walk from the beach on the island of Texel. 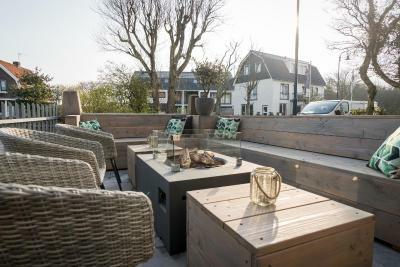 Most rooms of Hotel Kogerstaete Texel offer a balcony or terrace. The accommodations is only 2,800 feet from the beach, while the forest is 250 feet away. 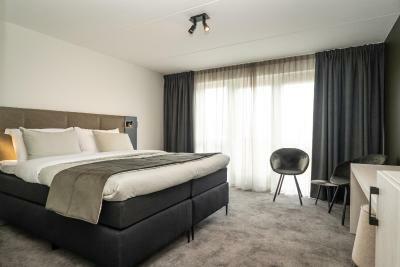 The rooms at Hotel Kogerstaete Texel benefits from a airconditioning, a mini-bar and a hospitality tray with a Nespresso coffee machine and tea making facilities. Some of the rooms feature wellness facilities such as a steam shower and sun shower with infrared options. Guests can enjoy an extensive Texel breakfast in the lounge area which features a classical industrial look. 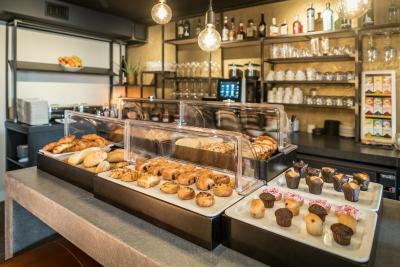 It includes home-made, freshly baked bread, croissants, fresh fruit and more. Hotel Kogerstaete is just over a 5-minute walk from the edge of the Duinen van Texel National Park. Den Burg is a 10-minute drive away. Free private parking is located behind and in front of the hotel. Car and E-bike charging point and a packed lunch service is available. 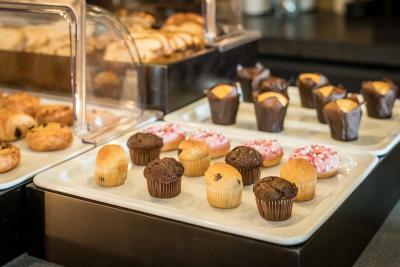 This is our guests' favorite part of De Koog, according to independent reviews. 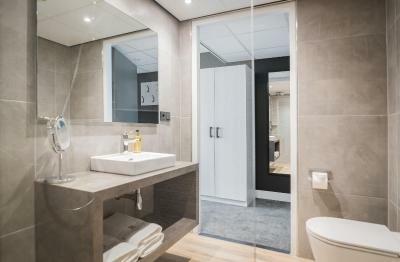 When would you like to stay at Hotel Kogerstaete Texel? This room has a kingsize boxspring. 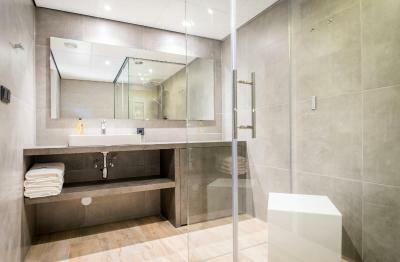 The private bathroom comes with a rain shower and floor heating. A Flatscreen TV and Nespresso Coffee machine are also featured. This room has a queensize boxspring. The private bathroom comes with a rain shower and floor heating. A Flatscreen TV and Nespresso Coffee machine are also featured. This room has a kingsize boxspring and balcony or terrace. The private bathroom comes with a rain shower and floor heating. A Flatscreen TV and Nespresso Coffee machine are also featured. This room has a kingsize boxspring and terrace. The private bathroom comes with a steam-shower and infrared options. It also has floor heating. A Flatscreen TV and Nespresso Coffee machine are also featured. This room has a kingsize boxspring and balcony. The private bathroom comes with a shower with infrared options. It also has floor heating. A Flatscreen TV and Nespresso Coffee machine are also featured in the seating area. This room has a kingsize boxspring and terrace. The private bathroom comes with a sun shower with infrared options. It also has floor heating. A Flatscreen TV and Nespresso Coffee machine are also featured in the seating area. This room has a kingsize boxspring and balcony. 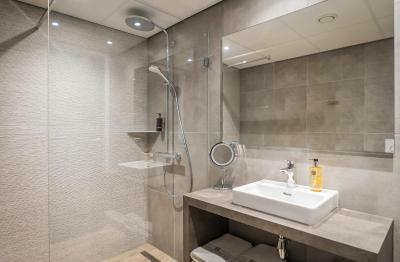 The private bathroom comes with a steam-shower and sun shower with infrared options. It also has floor heating. A Flatscreen TV and Nespresso Coffee machine are also featured. 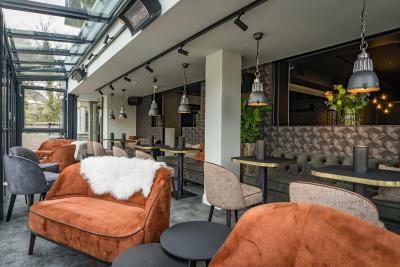 House Rules Hotel Kogerstaete Texel takes special requests – add in the next step! ATM card Hotel Kogerstaete Texel accepts these cards and reserves the right to temporarily hold an amount prior to arrival. Hotel Kogerstaete Texel accepts these cards and reserves the right to temporarily hold an amount prior to arrival. City tax is applicable for a maximum of 7 nights. Private parking lot is free and is subject to availability. Reservation is not possible. Please note that dogs are not allowed in the breakfast room, except for guide dogs. Please note that 1 pet is allowed is some units, and other units can not accommodate pets at all. Therefore, this must be requested in advance and has to be confirmed by the owner. Please use the special Extra charges are EUR 15 per dog per night. Check in from 15:00. Check out at 10:30. The room (30) was nothing like described/shown on pictures. Under the roof, no balcony, not even a proper window....it has 2 little roof windows, no view, giving on a busy street with drunken people shouting at night for hours. Unwelcoming, we spent the minimum amound of time inside and spent most nights in cafés or the dunes rather than in this depressing lightless place. All of this for 185 euros per night!!! But you won't see the pictures of this room in the website...But this questionnable honesty is not the worst : they debited my credit card from the full amount 1 full day before we arrived! This is unacceptable. If they charge you before you even arrive, of course they have the incentive to put you in the worst room they have. Do yourself a favor and go find another place. The owner could be a bit more friendly upon check in and check out. She is business like, but does not appear genuinely interested in her guests. It will be perfect,if the WiFi speed can be faster. The bed was two twins together and the mattresses and bases were a bit soft for our liking we felt a large kingsize or super king would have been better in a suite for the money we paid. Great hotel, very nice staff and the breakfast is very good. From this location you have a perfect base to explore Texel. The staff is very friendly and even offered our kids to make them mini pancakes for breakfast. We rented bikes (300 m from the hotel) and explored the island this way.